Sarah Green earned a Bachelor of Science in Athletic Training from Georgia College and State University, 2011. Sarah attended Armstrong Atlantic State University earning a Doctorate of Physical Therapy, 2015. On June 20, 2018, Sarah passed the National Board Examination to become an Orthopedic Certified Specialist (OCS). During matriculation as an Athletic Trainer, Sarah worked with Division I and II collegiate and high school athletes. While at Armstrong Atlantic State Univeristy, Sarah served as a Graduate Assistant in the Biodynamics and Human Performance Center. 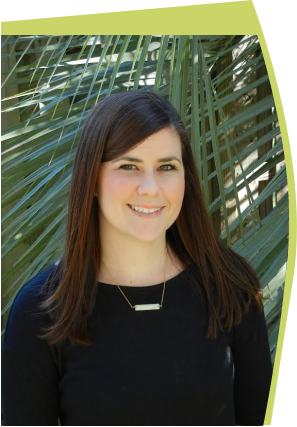 Sarah's expertise as an ATC and Physical Therapist, encompasses the treatment of orthopedic, neurological and post-surgical diagnoses. Sarah is also certified in LSVT (Lee Silverman Voice Treatment). As a native of Central Georgia, Sarah now calls Savannah home with her husband and dog. During her free time, Sarah enjoys spending time with family, running and exploring outdoors.